It’s a geopolitical jungle out there in the oil world right now and only the fittest will survive. The new oil Darwinism is replacing the older thesis that all producers can succeed over time because the current lack of adequate capital investment is going to create an oil supply gap in the future that will once again boost oil prices (the so-called supply hole thesis). There are still some active looming supply crunch proponents who are talking down the potential of U.S. unconventional oil and gas, but recent announcements by ExxonMobil and Chevron about robust plans for U.S. onshore drilling appear to dispel the notion that a debt-ridden U.S. industry is on the verge of potential failure. Projected Permian oil production for the two American oil majors alone is 1.9 million barrels a day by 2024, on top of already robust output from U.S. independent oil companies. Citi estimates that U.S. oil production increases could fill most of the expected increase in oil demand for the next five years. That could leave OPEC in a bind, Citi suggests, since the producer group could lose up to three million b/d of market share to U.S. producers if it chooses to cut production to defend $65 oil prices, according to Citi estimates. The unexpected success of U.S. shale has - for the time being - been ameliorated by the dramatic demise of output from within OPEC’s ranks. A variety of ongoing problems from civil unrest to sector mismanagement have created supply disruptions from Nigeria, Libya, Algeria, Venezuela, and Iran, the latter two impacted additionally most recently by U.S. sanctions policy. The situation prompted one Middle East oil leader to note privately that OPEC’s stronger members will take market share from smaller, more troubled OPEC members whose sectors are continuing to stumble. In the past, OPEC’s largest producers Saudi Arabia, the United Arab Emirates, and Kuwait have stepped in to replace fellow OPEC member oil exports disrupted by sanctions or war. 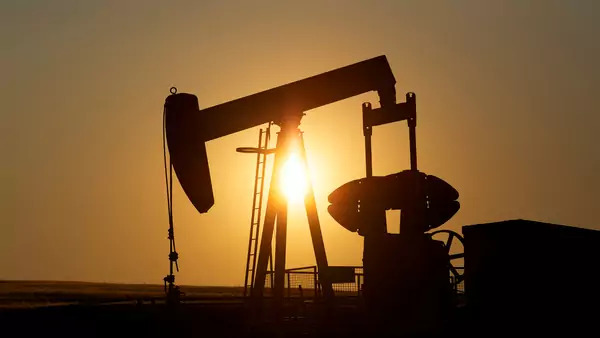 The process has often created acrimony inside the producer group, especially when new production sharing agreements are required when and if a disrupted producer’s oil output is restored. This time around is no different. Iran, whose oil exports have recently been curtailed by U.S. sanctions, threatened to quit the organization at OPEC’s end of year meeting last December in Vienna amid accusations that Saudi Arabia and Russia were taking advantage of its conflict with the United States. A last minute compromise, orchestrated by Russian energy minister Alexander Novak, salvaged the tense situation by promoting a compromise, which exempted Iran from the wider OPEC-Russian production cut agreement. In the longer run, cohesion might become more difficult for the current OPEC grouping as divisions arise between members whose industries are deteriorating and need sharply higher prices to offset declines and those who can cope with new competitive forces and still be able to expand. For the time being, OPEC’s larger members are trying to preserve the organization while at the same time, embarking on strategies to cope with future challenges. Abu Dhabi’s national oil company (ADNOC) is partnering with Western firms to apply new technologies to boost capacity to five million b/d by 2030 and is looking for refining assets abroad. Saudi Aramco is pursuing a sophisticated strategy that includes diversification into natural gas, petrochemicals and trading as well as making sure to keep its production costs low to extract as much revenue as possible from legacy assets. But beyond diversification strategies, officials from OPEC’s big guns - Saudi Arabia, Kuwait, UAE and Iraq - have such low cost production that they are assuming that they can be the last ones standing. But while it might be tempting among Middle East producers to forge a policy to wait for U.S. shale to peak and sputter out in the coming years, it is early days on drilling technology innovation with new ideas on how to tap improved data, automation, lasers and CO2 injection to improve recovery rates not only in the United States, but around the globe. All that technology might mean that pure geology (e.g. ultimate size of reserves) might not matter as much as stable access to capital as a new winning characteristic of the future Darwinian challenge in oil. Thus, in the new Darwinian oil world, we can expect to see continued announcements about how low the largest players can go on costs. ExxonMobil threw down the gauntlet recently by stating its next Texas Permian oil increment will come at price tag of $15 a barrel, substantially below break evens for some of the smaller U.S. companies operating in the Texas shale. It’s also well below the kind of oil prices needed for OPEC’s member fiscal budgets which require oil prices to range from at least $45 to as high as $80 a barrel, depending on the country. As a new report published by Council on Foreign Relations on the Tech Enabled Energy Future notes, the convergence of automation, artificial intelligence, advanced manufacturing and big data analytics is poised to remake the transportation, electricity, and manufacturing sectors in ways that could eliminate oil use just at the same moment when those same technologies could make it easier and cheaper to extract oil and gas. As digital energy technologies take hold, large oil producers will have to consider whether their reserves could depreciate in value over time if they delay oil production and development in an effort to hold up prices in the present and garner short-term revenues. This reality is adding to the challenges many oil producer governments already face from mounting budgetary stress, prompting widespread calls for energy sector reforms in a host of oil states around the world. In the new digital energy world, fittest is being redefined and access to the largest reserve base will no longer be the overwhelming metric for success. The winners and losers could prove surprising.